One of the Most Beautiful Towns in the Adirondacks. The Town of Dresden is located in northern Washington county in New York's beautiful Adirondack park. 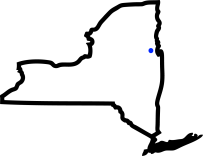 Bordered by Lake George on the west and Lake Champlain on the east, Dresden is located on State Route 22 which runs north and south through the town. There are many interesting places to visit and explore in the Town of Dresden. Come and visit and see for yourself. Breathtaking views await you of the entire northern portion of Lake George, including the island-dotted Narrows to the south, the spectacular Anthony's Nose and Rogers' Slide farther to the north. You'll also see the many jagged peaks of Tongue Mountain looming across the lake on this fun day hike. The Washington county beach at Huletts Landing is the only free public beach on Lake George in Washington county. During the summer months, the park is open 7 days a week from 8 a.m to 8 p.m. and the beach is open from 11 a.m. to 7 p.m. Sit on the beach, play tennis or reserve the outside pavillon area for a family get-together. Enjoy the great South Bay of Lake Champlain as you cast your fishing line from the John A. Brooks Memorial South Bay Fishing Pier. 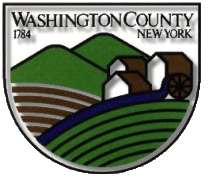 The DEC also maintains a public boat launch site on Route 22 for those trailering their boat to Lake Champlain.